If it is time to upgrade your family vehicle, this Approved Certified Pre-Owned 2017 Range Rover Sport is a great choice! 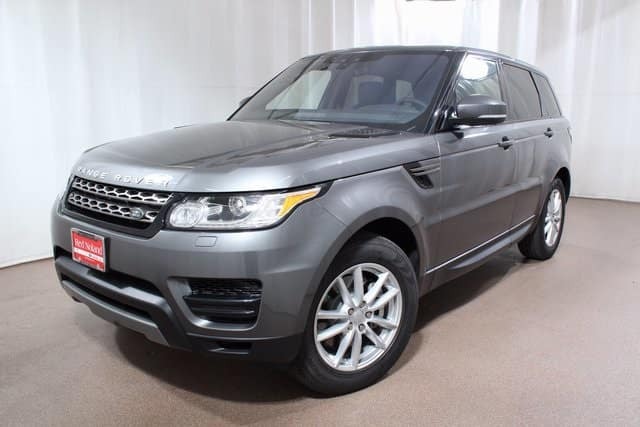 With almost $7,000 off its retail price, this Range Rover Sport is a great deal for a spectacular luxury five-seater. Equipped with a 3.0L V6 turbodiesel engine, you should expect an estimated 22 MPG city/28 MPG highway! Plus, enjoy many super features on this SUV including advanced tow assist, rearview camera and navigation system. Remote keyless entry, steering wheel mounted controls, and rear parking sensors are also on this SUV. Plus, as an Approved Certified PreOwned vehicle, you get peace of mind of a 5-yr/100,000-mile warranty and more! So, stop into Land Rover Colorado Springs today and let us introduce you to this capable SUV. We would love to tell you all about the many exciting features. Then take a test drive and experience the powerful performance that will take you from daily commute to weekend mountain road trip easily.